• Personnel move: Maryfrances Metrick has decided to step down as a senior managing director and global head of investor relations with Centerbridge Partners, in order to pursue unspecified philanthropic endeavors. Prior to joining Centerbridge in 2010, she had been a senior managing director with The Blackstone Group. According to a letter sent to Centerbridge limited partners, Metrick’s IR role will be filled by two existing staffers: Amy Schneidkraut and Sam Riter. A firm spokeswoman declined comment. • New firm alert: Clear Ventures has launched as a new VC firm focused on early-stage software infrastructure companies. IT’s led by Chris Rust (ex-USVP) and Rajeev Madhavan (founder of Magma Design Automation). According to an LP source, Rust originally planned to raise $40 million for a sole GP fund when he left USVP in 2013 (as part of a much larger shakeup at the veteran firm). The target is now $80 million with the addition of Madhavan, although it’s unclear if Clear has managed to hard circle on commitments yet. • Special purpose: Bit9+Carbon Black, a Waltham, Mass.-based cybersecurity startup, this morning announced $54.5 million in Series F funding. What was unusual wasn’t so much that it was led by existing shareholder Accomplice (f.k.a. Atlas Venture), so much as why and how. Accomplice partner and Bit9 board member Jeff Fagnan says that the company received term sheets from multiple crossover investors, but said that none of them were willing to save pro rata room for existing shareholders (which also include .406 Ventures, Highland Capital Partners, Kleiner Perkins and Sequoia Capital). So Accomplice effectively formed a special purpose vehicle via Angelist, backed by several of its own limited partners, in order to lead the round with a $17 million investment (at around the same valuation as the crossover folks offered, per Fagnan). The SPV doesn’t charge management fees, but does have carry. I also asked Fagnan about Bit9’s IPO plans, as the company had been widely seen as a 2015 candidate. He said that such a move was pushed back after the CFO hired late last year — ex-Brightcove CFO Chris Menard — left the company earlier this year. A search process for his replacement appears to be nearing its conclusion. 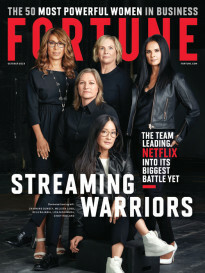 • Speaking of cybersecurity startups: One of my roles at Fortune Brainstorm Tech this past summer was to organize and MC what we called Unicorn Idol, in which VC-backed startups pitched themselves as the next billion dollar company. This morning, Unicorn Idol participant Area 1 Security announced $15 million in Series B funding. My colleague Robert Hackett has the story here, including video of Area 1 CEO Oren Falkowitz (ex-NSA) presenting at BST. • Drop a dime: Just a reminder that you always can send me an anonymous message by using our tip function. Just go here. • Kabbage, an Atlanta-based provider of working capital for small businesses, has raised $135 million in Series E funding at a reported $1 billion valuation. Reverence Capital Partners led the round, and was joined by ING, Santander and Scotiabank. The company also expanded its credit facility to $900 million. Existing shareholders include SoftBank, TCW/Craton, Lumia Capital, David Bonderman, Warren Stephens, UPS’ Strategic Enterprise Fund, Thomvest, BlueRun Ventures and Mohr Davidow Ventures. Read more. • SteelBrick, a San Mateo, Calif.-based provider of quote-to-cash apps built on the Salesforce1 platform, has raised $48 million in Series C funding. Institutional Venture Partners led the round, and was joined by return backers Emergence Capital,Salesforce Ventures and Shasta Ventures. Read more. • CyPhy Works, a Danvers, Mass.-based consumer drone startup led by iRobot co-founder Helen Greiner, has raised $22 million in Series B funding. Bessemer Venture Partners led the round, and was joined by Lux Capital, General Catalyst and return backers Motorola Venture Solutions, UPS Strategic Enterprise Fund and Draper Nexus. Read more. • Area 1 Security, a Menlo Park, Calif.-based cybersecurity startup, has raised $15 million in Series B funding. Icon Ventures and return backer Kleiner Perkins Caufield & Byers co-led the round, and were joined by existing shareholders Allegis Capital, Cowboy Ventures, Data Collective, First Round Capital, RedSeal Networks CEO Ray Rothrock and Shape Security CEO Derek Smith. Read more. • PlayLab, a Thai developer of mobile games, has raised $5 million in Series B funding from Monk’s Hill Ventures. Read more. • Neiman Marcus Group Inc. has delayed its IPO until “next year at the earliest following the recent bout of stock-market volatility,” according to the WSJ. The Dallas-based luxury retailer had filed for its IPO in August. This was its second attempt to return to the public markets, having filed for an IPO in June 2013, but just months later agreed to be acquired for $6 billion by Ares Management and the Canada Pension Plan Investment Board (sellers were TPG Capital and Warburg Pincus). Read more. 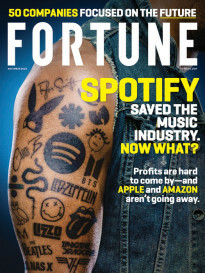 • Conde Nast has acquired Pitchfork Media, a music content site and quarterly magazine. No financial terms were disclosed. Read more. • Nippon Life Insurance is considering an offer of between $1.7 billion and $2.5 billion for National Australia Bank’s (ASX: NAB) insurance unit, according to Bloomberg. The two sides are hoping to reach a final agreement this month. Read more. • SanDisk (Nasdaq: SNDK) reportedly is in talks with at least two rival chipmakers — Micron Technology Inc. (Nasdaq: MU) and Western Digital Corp. (Nasdaq: WDC) — to be acquired. SanDisk has a current market cap of around $12.6 billion. Read more. • Treasury Wine Estates Ltd. (ASX: TWE) has agreed to acquire most of the British and U.S. wine assets of Diageo PLC (LSE: DGE) for $552 million. Read more. • Eric Feng has stepped down as chief technology officer with social media aggregation startup Flipboard, in order to join venture capital firm Kleiner Perkins Caufield & Byers as a general partner. He also will continue to work with Flipboard in an advisory role. This will be Feng’s second stint with Kleiner Perkins, having been a junior partner back in 2010, before which he was CTO at Hulu. Read more. • Alan Weinfeld has joined Gatewood Capital Partners as a partner. He previously was a managing director and head of biz dev with GoldPoint Partners.